(CNS): The National Trust for the Cayman Islands is celebrating the Caribbean Endemic Bird Festival with a host of events to show off Grand Cayman’s bird population and to raise awareness about the importance of bird and habitat conservation.. The festival, which is taking place throughout the Caribbean, began 22 April (Earth Day) and runs through to 22 May (International Day of Biodiversity). Though the Society for the Conservation and Study of Caribbean Birds began the annual Caribbean Endemic Bird Festival nine years ago, this will be the first time it will be celebrated in the Cayman Islands. The goal of the Festival is to highlight the region’s high endemism and encourage appreciation of our beautifulbird life. On Tuesdays during the festival month (except 18 May) and also on Discovery Day (Monday, 17 May), the Trust will be conducting 3.5 hour tours (starting 8:00am) of the Eastern districts’ premiere birdwatching sites to see birds in various distinct habitat types. Participants will view waterfowl beginning at the Governor Michael Gore Bird Sanctuary and again at Meagre Bay Pond. The tour proceeds to the Queen Elizabeth II Botanic Park. Transportation provided from Governor Gore’s Pond. 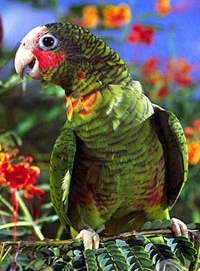 A free Land Bird Guide and Checklist of Birds of the Cayman Islands will be provided to each guest. The cost is $25 for Trust members, $32 for non-members. On Saturday, 1 May, starting at 8:00am, there will be a morning bird watching stroll through the Agriculture Grounds, with a National Trust guide leading the group to help with spotting and identifying birds. And a guided walk along the Mastic Trail will take place on Saturday, 15 May, 8:00am to 9:30am. The cost for both of these events is $15 for Trust members, $20 for non-members. Call 749-1121 for reservations. Check www.nationaltrust.org.ky or www.scscb.org for more information. All events in the Bird Festival will also be listed on the CNS calendar.